The real shocker will be the first rider that says "NO MIDAS or KT." If your going to provide a Midas H3k, XL8, Pro6, ect.... Please make sure it's "pre" Behringer!! Very interesting. The Music Group wasted no time announcing it on their website accompanied with a shot of a the XL8. It's also on the Midas and Klark Teknik websites. 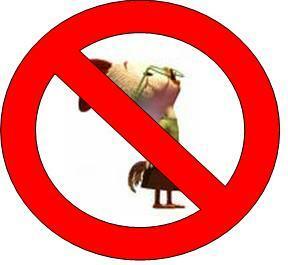 All this chicken little "the sky is falling!, the sky is falling!" is really unwarranted. The bottom line is: Midas was just a drop in a very large ocean that was Bosch and with the new investment will be able to move ahead without the bottom line regulations that may have been in place with Bosch. I'm sure the blokes in Kidderminster thought long and hard about this decision and I'm sure the implications were well thought out. Find me some Behringer compressors that say "Made in Germany" on the back and I'd put them side by side with the higher end competition's compressors. Audio wise you'd be hard pressed to dismiss them as "crap". I wouldn't be really surprised if they did. Several megacorporations--Sony, Siemens, AT&T, et al--have flirted with pro audio and gotten out after just a few years or less. True, but with an up to now very different market focus and distribution model it is an odd pairing. I don't see many people impulse buying current Midas or KT models because they are part of a "Midas and KT Blow Out" sale at the local store. I'm going to pre-order my UltraVenice. +1 on that. I stated earlier in this thread that Uli DOES know how to make quality audio components. He just didn't make much money doing it compared to his current business plan. I have one the "made in Germany" headphone amps and one of the single ended noise reduction units and they both work, year on, very well. They also each weigh about three times as much as the only other Behringer component I own, the nearly ubiquitous 8 channel mic pre expander for my O1V-96. Waiting for the "Trade up program"... OR... the "Behringer with the Midas- Sound Preamps"
Seriously, if they don't screw things up, it could be a learning, and profitable experience for them.